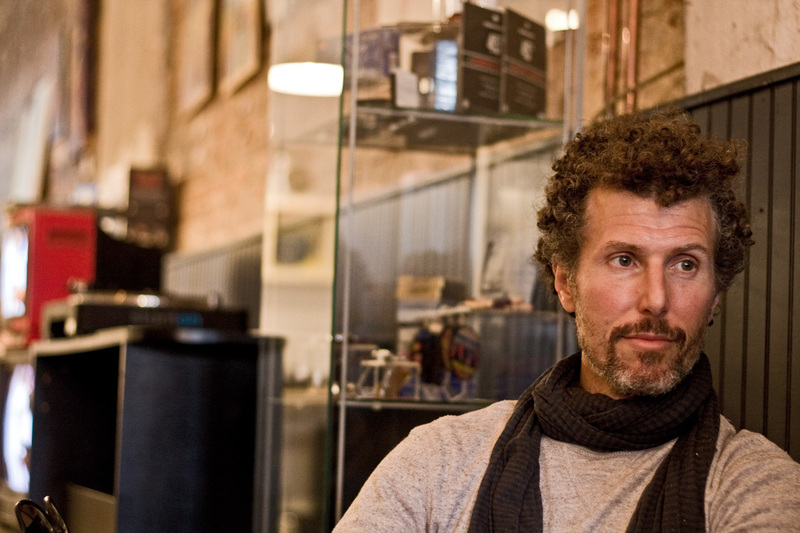 Josh Wink is one of the pioneering DJs in the American rave scene during the early 1990s. He played records all over the world, but as his career has progressed, he has stayed true to his roots, never selling out and always maintaining his integrity, always coming home to his beloved Philadelphia. "For a DJ set I really need to get the feeling and vibe of the crowd. This helps clear my mind and get focused on the moment. I dont really prepare for shows, I love the spontaneous flow of creative ideas and energy as I do my thing." 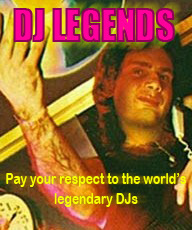 Having been involved with music for so long, how does it feel to still be around and still relevant after two decades? I am happy and blessed to be doing what I loved then, today, and still have the passion for what I do now. Both as an artist, DJ and record label guy. It feels great to have made music 20 years ago that people are still playing, and to compose music now, which people are currently playing! How much does DJing inform your production? Like do you take tracks on the road with you and feedback the response they get in the club to their final forms? When I make dance-music Its KEY for me to be able to Test out the tracks on a dancefloor and get ideas of how people react to the music. Then I go back in the studio and tweak away from these ideas. I record all my sets, so I listen to what I do live and then put these live, spontaneous ideas into the final product. Is there a way that you feel your style, or the way that you go about producing music, has really changed over the past 20+ years? Im one to be able to kind of control what I do. I mean, controlling my destiny rather than hearing others and having them influence the way I sound. A colleague of mine, from the UK actually, was with me at the opening of a club. Theres a club in Ibiza called Space, and Space opened up a nightclub in Brazil and I was part of the opening party there two years ago with Carl Cox and myself, Mark Knight, and Yousef, and Nic Fanciulli, and a bunch of other people. And, a couple of people were listening to me DJ, and this is at the time when a track of mine wasnt out yet, it was called Balls, which was released two years ago, and he came up to me and said, What is this track? Ive been listening to you DJ the whole night and this is the only one that I want to know what it is. I dont know what it is but I have a feeling its you. I said, It is me, how can you tell? He said, Well you have a sound when you produce music. Whether its House or Techno, its some organic Josh Wink sound, I cant explain it, but I know its you. How would you describe your style from when you started out and how its progressed over the years? its a very important thing and I havent felt that I have strayed because I only wanted bookings or something like that. In terms of DJing and also making music as well. Meeting the person described above. If I didnt meet him, I wouldnt be doing this interview with you now. Biggest moment. Hearing acid house music from Chicago in 1986. Meeting King Britt in 1988 when production & friendship started. How have you managed to maintain your own release schedule and run a label since 1990? It's hard! I'm not as prolific as I want to be. As I'd like to be in the studio more- making music. But, it's important to balance the travel and the production. I look forward to getting in the lab and making more! I love what I do! I love being creative in the studio and I desire more! 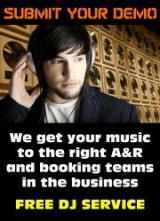 But it's work to keep the balance and notice the importance of both travel, production and label releases! I have a Matty B, a great person, who makes things possible for me to travel, while he manages and runs the label! You are from the generation that coincided with the rave explosion. What was it like in Philadelphia during the 90s? Innocent! That`s what I can say! As most cities in the USA. It was a great time for music and culture. Racially mixed, age mixed. In clubs, and in any venue you could find and use. It was a great time. Do you have a preference for playing more intimate club shows or this grand scale events? I like them all. But I prefer more intimate settings like Fluid. I appreciate what I do and I appreciate the purpose for what each one does. I know what to do at the big events and I know what to do at the small events but Ive always been a more personal guy. You know Fluid used to be a club called Zero and I was associated with that place since 1990. Its pretty amazing, when I used to do my night there, I had Richie there, I had Carl [Cox] there, I had Adam Beyer there, I had Loco Dice there, I had Marco Carola there. I mean all of my friends just kind of came through, the list goes on and on. You get 130 people in there and its just jam packed and wed charge $12 at the door. People would come up just thanking me and saying how amazing and how did you work this out?. Theres something unique about it. Your most recent single is called 'Resist'. In a socio/politico sense, just what do you think we should be resisting? The resist movement, in terms of our cultural development as human beings, has always been around. We've been resisting as a human culture for years and years and years. It's gotten to a point now where it's just a peaceful way to express your political views, when the organisation who's running the political scheme is not doing something you like. So, you use your inalienable rights to peacefully protest and resist what may be happening rather than just taking the teaspoon of sugar with the medicine just to make it go down, become complacent, things are just the way they are, I can't do anything about it. So, I think it's important.